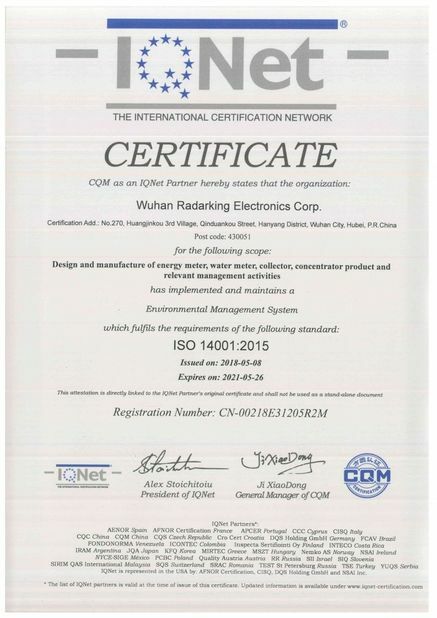 The meter is an IEC standards compliant three phase four wire smart electric meter. 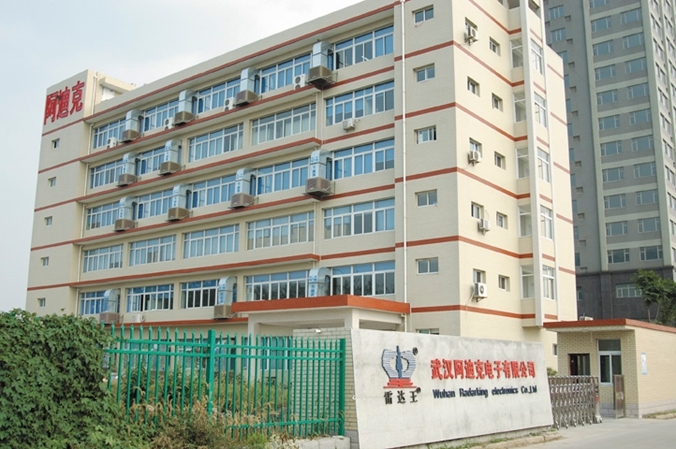 It is completed in BS footprint housing and integrated with large innovative capabilities, such as powerful e-metering, multienergy data collection, remote and local communication. 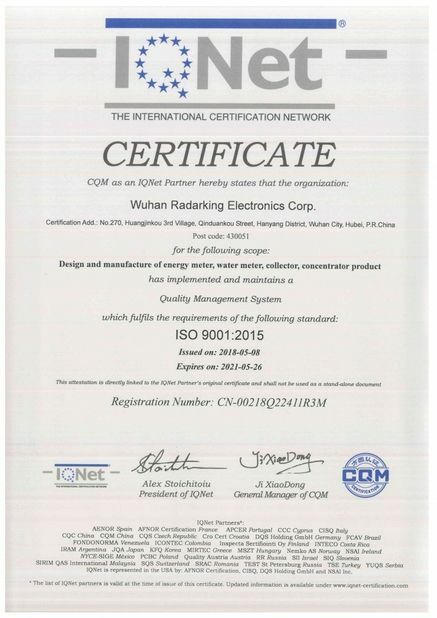 This new generation of metering device has been developed as a core component of the Radarking’s smart metering solution to optimize daily utility processes. d) Metrological element measurement : voltage, current, power quality and harmonics. The meter is intended for communicating with a head-end central station server (HES) through GSM / GPRS / Ethernet connectivity for smart metering interactions on real time basis. It is ideal for a broad range of commercial and inustrial environments. 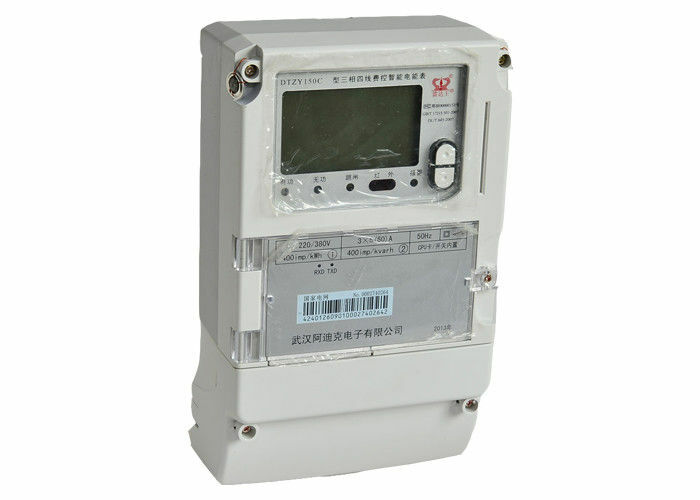 The meter measures active and reactive energy and its terminal block provides both direct and CT/VT connection. It is built-in with a clock countsas incrementing second index. This index is synchronized with the real time in HES at preset interval period, offering the utility utmost flexibility of tariff calculation and system management. This flexibiity futhermore enables the utility to apply different contractual control to each of the customer with no need to visit customer's premises or adding accessories from time to time. The connectivity of GSM GPRS enables the utility and service providers to have a real-time monitoring and control on the load in the grid and improve their managing efficiency at peak hours. The meter records maximum demand and load profiling data at programmed intervals and provides valuable instantaneous value for P, V, A, PF for the utility and customer as well for them to budget their usage and manage the load.